The market for online news journalism has dissipated. It’s time to reconsider journalism as a project of the commons. The German publishing house Axel Springer recently instituted a pay wall for the website of its national daily “Die Welt”, following the porous model pioneered by the “New York Times”. The announcement isn’t just interesting to those who follow the evolution of journalism as it transitions online; it also illustrates a larger point about business: Revenue models that once worked profitably and predictably cannot always be brought into the digital age. Many news organizations have struggled for the better part of the last decade to monetize their content in a browser-based web environment. Most of those efforts failed. Global brands like the “New York Times” stand a better chance than most, but even they struggle to keep costs under control. A few years ago, the main problem with online payments was to ensure easy and secure credit card transactions. Now security issues have largely been resolved, and publishing houses notice that most readers are unwilling to pay an adequate price for the news they consume on the internet. For a while, micro payments seemed to offer a viable alternative. “Flattr”:http://flattr.com/ was the most prominent among those services. Micro payments allow the user to pay for each article separately: You set up an account, and money is transferred whenever you click the Flattr button. But that model didn’t succeed either. In some countries, the uncertainty of online business models has led to calls for a “cultural flat rate”: The idea is to charge a standard rate for cultural (including journalistic) products and services. The money would be centrally collected and distributed among all participating institutions and publishing houses. This is probably the most honest proposal, and the most merciless. It’s also the bleak truth: There’s simply no market for online news anymore. Most newspaper websites are almost undistinguishable in their non-local news coverage. They have lost one of the key features of a market environment: The ability to distinguish between different products. One might object that news organizations primarily compete for time and not for content: Speed matters, in other words. For some years, that was true. Newspapers who managed to update their websites more quickly than their competitors enjoyed an advantage. But the rise of social networks has destroyed the topicality market, too. Real-time communication and social media discussions have taken over. Today, the focus isn’t on wire services anymore but on discussing events as they unfold, and in their immediate aftermath. Often enough, traditional media organizations help to spark those discussions, and it is unfair that their contribution isn’t adequately recognized. But that’s life. The difficulties faced by news organizations to develop business models capable of supporting quality journalism are highly lamentable. News have become a part of the commons. They are omnipresent, like air and water. The idea of “the commons” identifies that which belongs to everyone – and who would deny that we all own our news? This might sound philosophical, but consider this: Out of an unlimited number of possible news events that (objectively) unfold around us at any given minute, we filter the news that are relevant to us as recipients. The stories that are being discussed on Facebook and Twitter don’t always reflect the patterns of objective newsworthiness. Some stories deserve a lot of attention but receive very little, and vice versa. But the world of social networks is a reflection of what we collectively and individually consider to be relevant. If we conceive of news as part of the commons, it becomes impossible to monetize news coverage. The business model has vanished. In earlier times, gaining access to news took considerable effort, and those who secured that access enjoyed a clear competitive advantage. Today, the subjects of critical coverage – politicians, parties, companies – try to make their own news either by issuing press releases or by using their own digital communication channels to disseminate them. For journalists, the focus isn’t on the dissemination of news but on their interpretation and analysis. Publishing houses could thus agree on a set price for news – a flat rate model, or something similar. But they will have to develop a business model based on news analysis. That’s the domain within which they can compete against each other and generate revenues. Of course, the market for news analysis is considerably smaller than the market for news dissemination used to be, and some publishing houses will inevitably draw the short end of the stick and go out of business. The resulting uncertainty helps to explain why it has recently become fashionably for some publishers to criticize publicly funded organizations like the BBC (in Great Britain) or ARD/ZDF (in Germany), or to blame Google News for its free content aggregation. But ultimately those criticisms are short-sighted and will not solve the revenue crisis of traditional publishing houses. 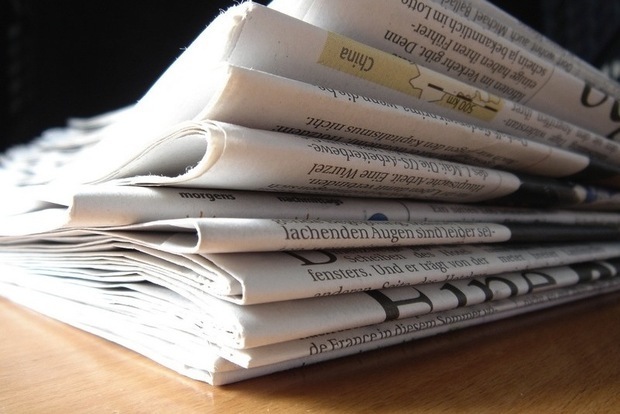 The market for news has dissipated – and not only in print. If publicly funded news broadcasters had to finance their news coverage through TV and radio ad sales, funding gaps would inevitably appear. The commons are the responsibility of the community. In previous centuries, the towns and villages collectively cared for, and used, unenclosed common land. Today, quality journalism takes the place of common land. One interesting development is the increasing collaboration between media organizations and charitable foundations – it might be one step towards addressing the challenges faced by the journalism industry. Indeed, characterizing our work as a commons project does not reduce its value – to the contrary, it ennobles it. Journalism belongs to everyone, and everyone should contribute to it. In the case of flat rate models (and in this case only), more socialism might be in order. Journalism offers an interesting perspective on how established business models can be affected by digital change. Other services and products will experience similar disruptions of their markets. Anyone who has ever used a cabbie app to book a taxi – and didn’t have to wait in line for a car, only to be served by impolite attendant – knows what I am talking about.